Welcome to Admin Pro Tools, our focus is on providing useful applications and tools that can be easily added to any custom or existing application, currently we have available a comprehensive ColdFusion based Email List Manager, a growing list of ColdFusion based shipping XML tools (including DHL / Airborne, Fedex and USPS (United States Postal Service)). We developed from the ground up our own FTP Server based on ODBC technologies, windows server administrators will love the ease of use and flexibility of managing all user ftp settings in an ODBC database. We also have available a Custom tag to seamlessly process credit card and e Check transactions through the authorize.net gateway. Take a look around we have live demos of most of our products you can take for a test drive. 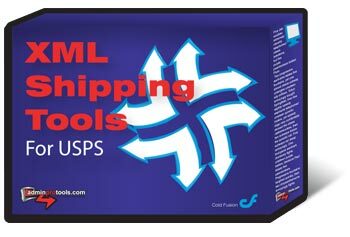 Coldfusion custom tag handle all your United States Postal Service requests in real time from your own web site. Coldfusion custom tag handle all your Shipping Rate, Tracking, and Available Services requests using Fedex web service api. 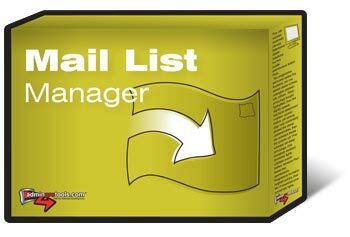 The most powerful and feature packed ColdFusion E-Mail List/Subscription List Manager available, yet one of the simplest to use and install! - Import a web page directly into a new message with ONE click! - Email based "unsubscribe" and "subscribe" capabilities - clients may simply unsubscribe to list by sending an email to list address with unsubscribe in the subject line! Admin Pro Tools File and Upload Manager is a very easy to use DHTML/ASP based File Manager for IIS/ASP Windows Servers. Provided is the full Upload Manager component (COM) that handles file uploads via the browser with real-time progress bar displaying the progress of the file upload. Multiple file uploads capable. Now available with our exclusive ActiveX Control built in to our popular interface - no configuration needed the component is already integrated for you! The powerful ActiveX control allows you to select multiple files from 1 window to upload or recursively upload an entire folder!